"Waste Management & Circular Economy"
"Energy from Biomass and Waste: Impact of metal species"
"Back to the roots-the art of composting and the humus challenge"
"Waste Management in isolated areas: The case of the ISWM-TINOS project"
16.30-16.45 C. Alvarez C., J. C. Higuita V.
How much are people willing to pay for efficient waste management schemes? How does olive oil affect the production of bioenergy feedstocks from olive mill waste? Solid recovered fuels, refuse derived fuels and circular economy: incompatible or integral part? Does aqueous ammonia soaking pretreatment influence the fermentative processes of bioethanol and biohydrogen production, from different lignocellulosc feedstocks? 2014 Proposal for a Directive amending EU waste policy and regulation: A progressive step towards effective waste management? Master-class on Horizon 2020: How to win funds for your innovative research projects? ISWM-TINOS is a LIFE + Environment Policy and Governance Project co-funded by the European Commission. The duration of the project is 46 months starting on the 1st of October 2011. The implementation of the project takes place in Tinos Island, Greece under the coordination of the Municipality of Tinos and with the cooperation of the National Technical University of Greece, the Università degli Studi di Verona and the Institute for Solid Fuels Technology and Applications of the Centre for Research and Technology Hellas. The main objective of ISWM-TINOS project is the development and evaluation of an Integrated Solid Waste Management scheme for solid waste in Tinos in line with the Waste Framework Directive 2008/98/ΕC. The ISWM scheme includes the separate collection of each type of recyclable (glass, metal, paper, plastic) as well as of biowaste (mainly kitchen waste) and the subsequent treatment of the collected biowaste with aerobic treatment (composting). The pilot scheme has been set for a sample of 100 households located in Tinos Island. Furthermore, the anaerobic digestion of the biowaste is investigated at the experimental hall of the University of Verona in Treviso (Italy) with “synthetic” biowaste of the same characteristics with the biowaste collected in the Municipality of Tinos. 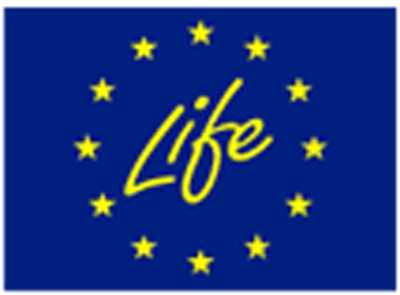 LIFE10ENV/GR/610: Development and implementation of a demonstration system on Integrated Solid Waste Management for Tinos in line with the Waste Framework Directive. We would like to thank you very much for your high interest in the IWWATV Conference.